A Mekong river cruise is the perfect way to experience Vietnam’s most celebrated cities as well as getting a fascinating taste of the country’s history, traditions and cultural attractions, too. Vietnam forms a curved narrow strip which borders China in the north, Laos and Cambodia – a country which you’ll also experience on your Mekong river cruise. 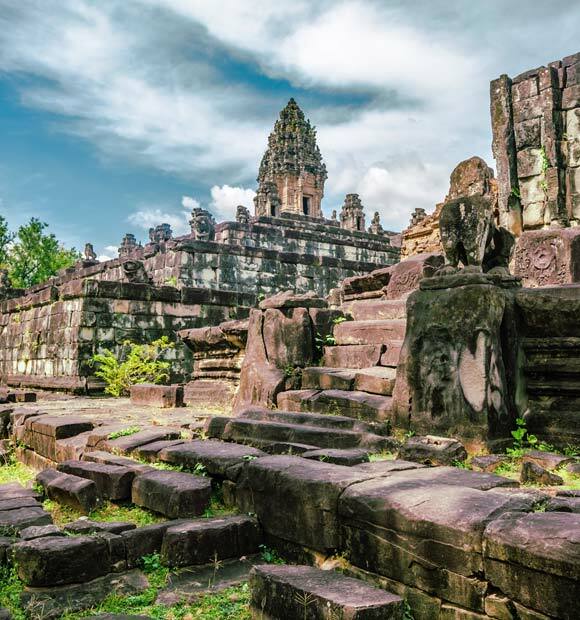 Mekong itineraries typically begin and end in Vietnam, in its two most well-known cities, Hanoi and Ho Chi Minh City, depending on the direction in which you travel. 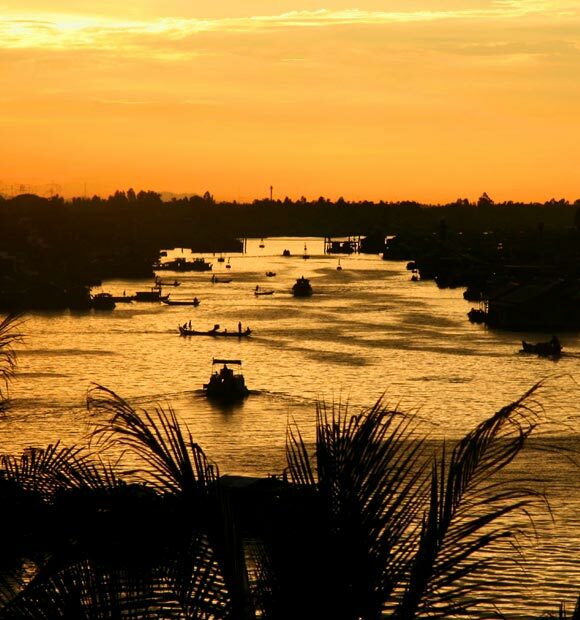 Though Hanoi is situated far north of the Mekong, Vietnam River cruises involve transfers to or from it, offering you the chance to explore more of the country either before or after you set sail. During your river cruise, you’ll visit towns, villages and sacred sites which offer a tantalising glimpse of this ancient country’s rich cultural fabric. Formerly the capital of French Indochina and now Vietnam’s, Hanoi has wealth of colonial history to its name as well as a hoard of more traditional treasures to unearth. The Old Quarter is the city’s main tourist destination, offering shopping opportunities galore, while the French Quarter has an authentic colonial vibe. 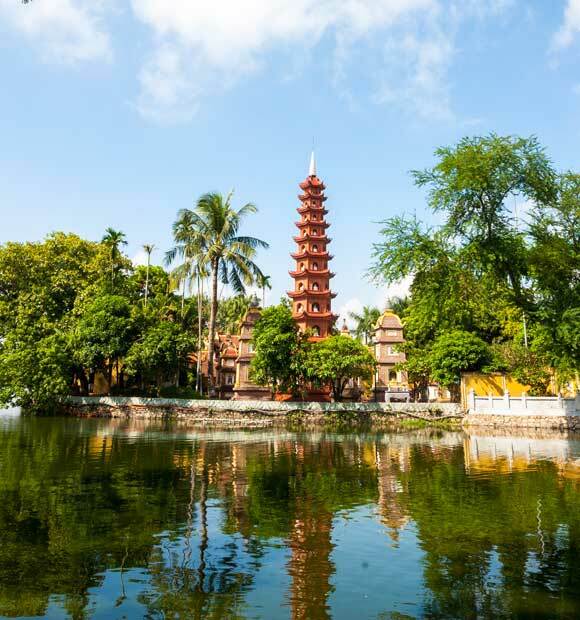 Wherever you go, colonial architecture is all around but there’s also the chance to experience more traditionally eastern landmarks such as Chua Tran Quoc pagoda and the Temple of Literature. Owing to its relative proximity, many river cruise operators also offer excursions from Hanoi to Halong Bay, which is revered as one of the world’s most celebrated areas of natural beauty. As you would imagine, the former Saigon offers the opportunity to explore this country’s turbulent history by way of the popular War Remnants Museum and a visit to the Reunification Palace, the former South Vietnam government building, preserved exactly as it was during the war. 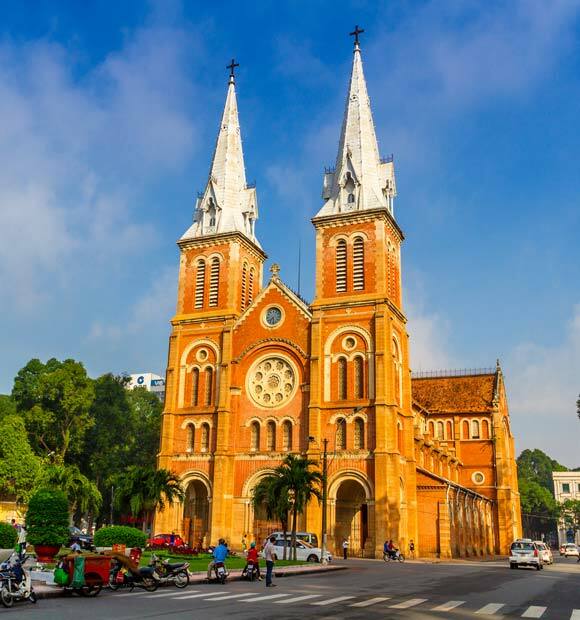 Historic Ho Chi Minh Square offers some incredible architecture, with other city highlights include the celebrated Central Post Office and Saigon Opera House. 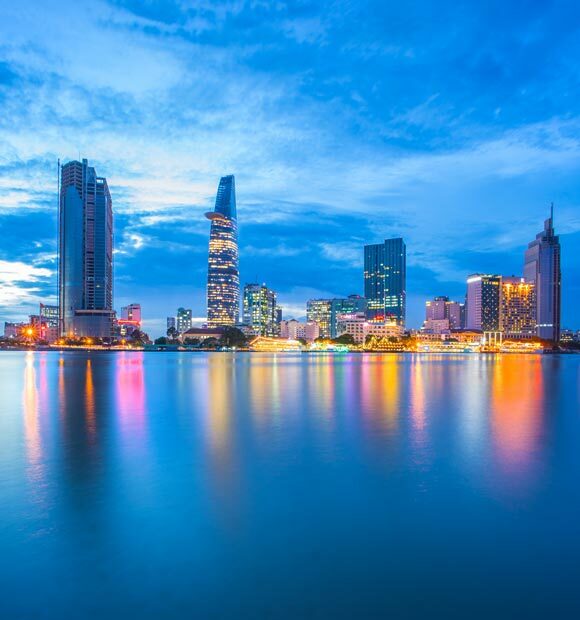 For the ultimate view of it all, be sure to head for the Saigon Skydeck. This picturesque river town is a port of call for a number of Vietnam river cruises. Boasting a colourful riverfront, a floating market and also an impressive French Gothic cathedral, it’s also home to some particularly picturesque flower gardens if you’re in search of a little Eastern tranquillity. Rice paper is also made here and a number of river cruise lines offer excursions to a local workshop to discover how it is made. Directly across the Mekong from Cai Be lies Sa Dec, meaning that you’ll often visit both during the same day of your Vietnam river cruise. There’s another celebrated traditional market to browse here, as well the opportunity for a traditional ride on a smaller sampan boat along some of the river’s smaller tributaries. The main cultural attraction is the Ancient House of Huynh Thuy, the subject of one of French author Marguerite Duras‘s most celebrated works, The Lover. Tan Chau offers a further look at the traditional Vietnamese way of life, and your tour of it will likely be complemented by the authentic experience of a rickshaw ride. As well as offering a real feel for local life, itineraries which call at the village often include a trip to Evergreen Island, which gives visitors a compelling window into traditional Vietnamese agriculture and crafts.